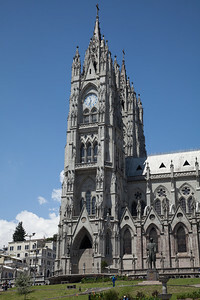 The Basílica del Voto Nacional, one of Quito's centerpieces. 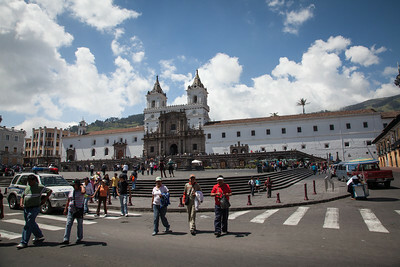 My favorite part of Quito - people watching in Plaza Grande. 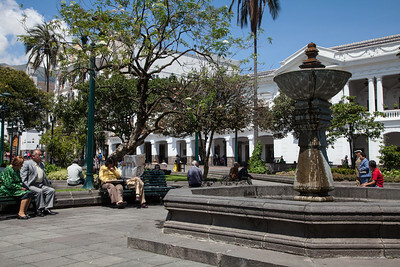 We also met an older Quiteño man named Pepe on one of the benches here and discussed everything from chess to politics. 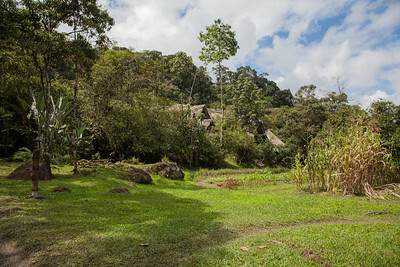 The monastery at Plaza de San Francisco. 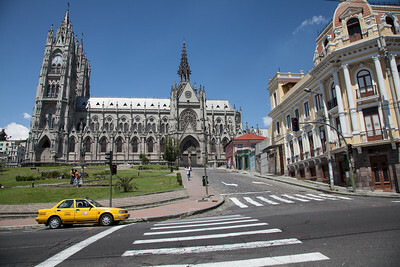 Plaza Santo Domingo right next to a very busy bus stop. 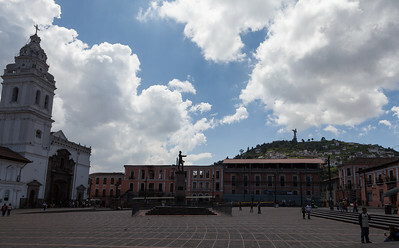 A good view of El Panecillo up on the hill. 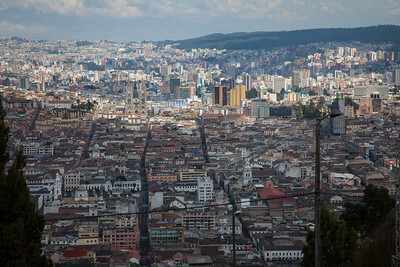 A view of Old Town Quito from the top of El Panecillo. 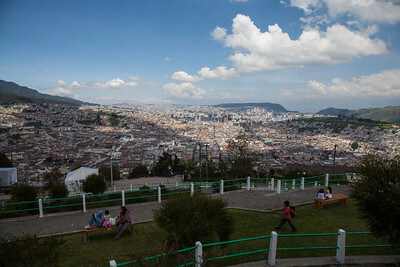 Lots of families out enjoying the weather on top of El Panecillo. 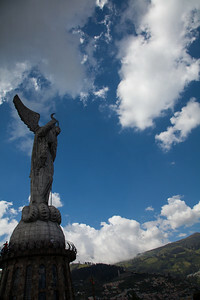 La Virgen de Quito up on top of El Panecillo overlooking Quito. 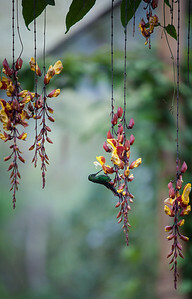 Enjoying my coffee and the sky. 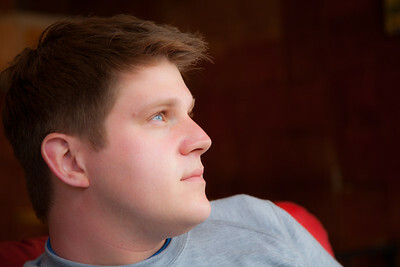 Coffee at Coffee & Toffee. 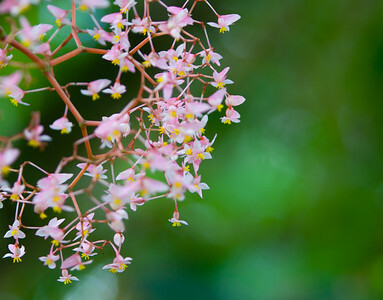 How appropriate. 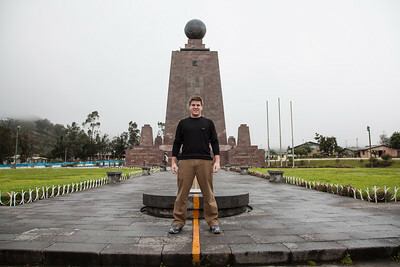 Straddling the equator at Mitad del Mundo. 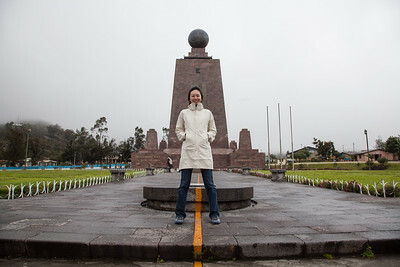 See the Wikipedia article for a discussion about whether this is the "true" equator. 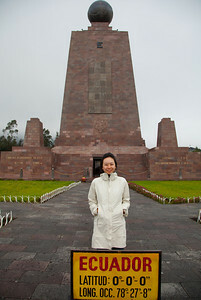 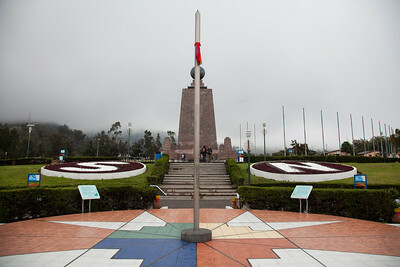 A view down the equator at Mitad del Mundo. 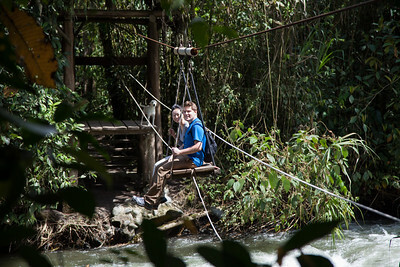 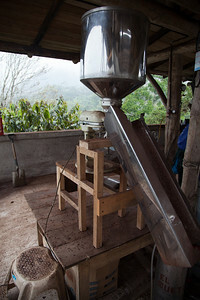 The pulley-driven conveyor system used at El Monte to get from the main road over to the lodge - two people at a time. 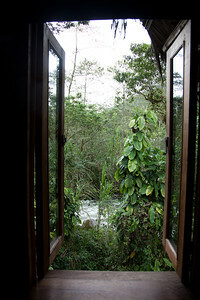 A view of the river just steps from the cabana at El Monte. 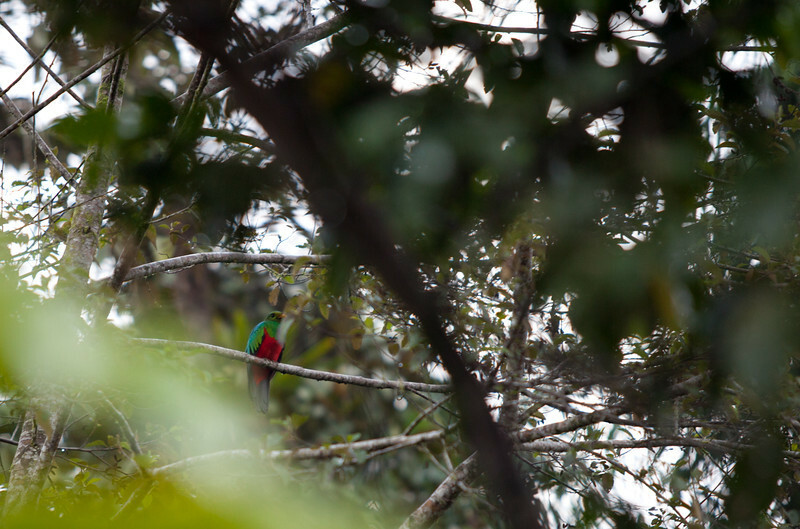 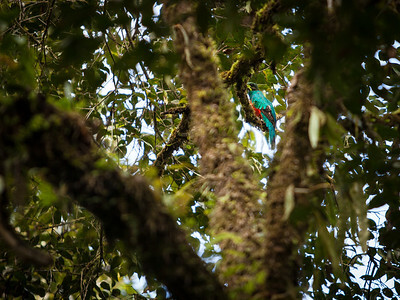 One of the most colorful birds seen during the trip was a golden-headed Quetzal trying to hide in the trees. 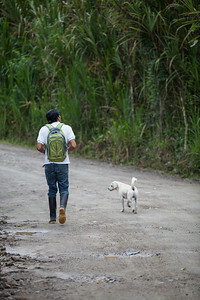 Our guide walks with his son's dog during our bird-watching trip at 6:30AM. 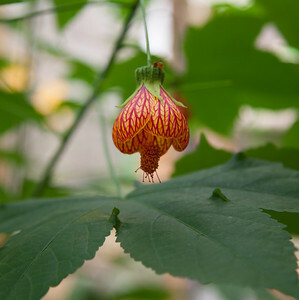 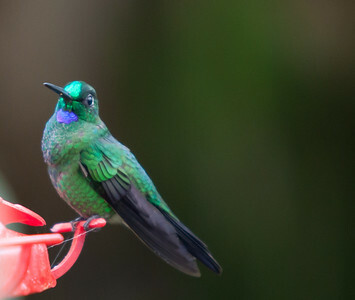 A hummingbird enjoys the flowers. 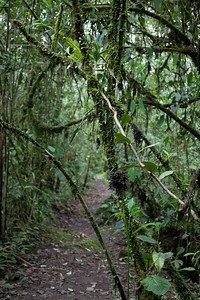 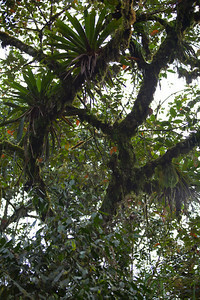 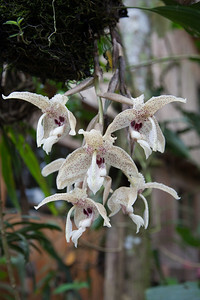 The canopy of the cloud forest around El Monte in Mindo. 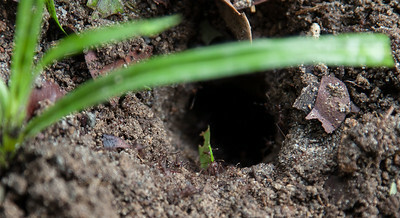 Leafcutter ants take their spoils back to the colony. 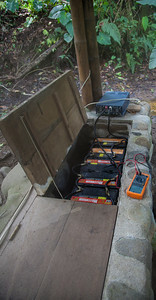 A bank of batteries feed an inverter used to power everything at El Monte in Mindo. 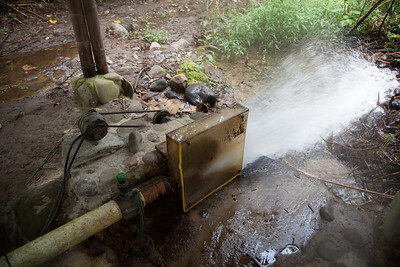 The hydroelectric generator that charges the batteries for power at El Monte. 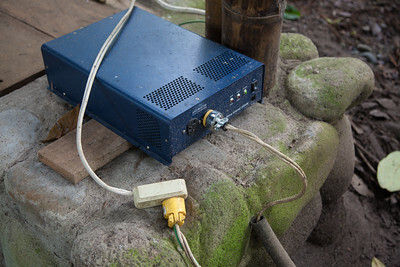 The inverter and single outlet distributing power to the cabanas and lodge. 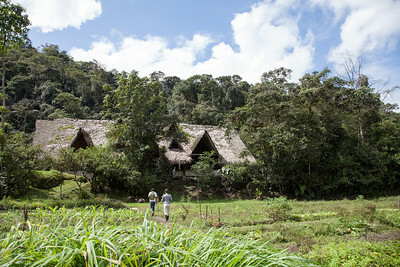 The farm and lodge (background, behind trees) at El Monte. 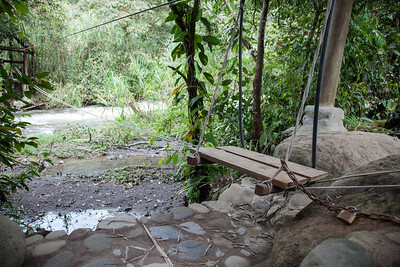 Crossing the river to leave El Monte. 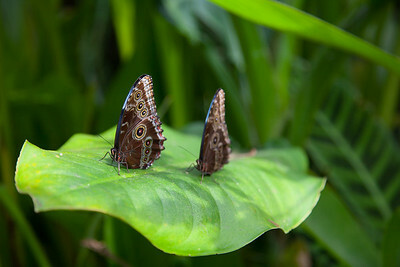 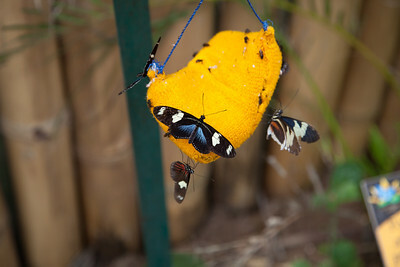 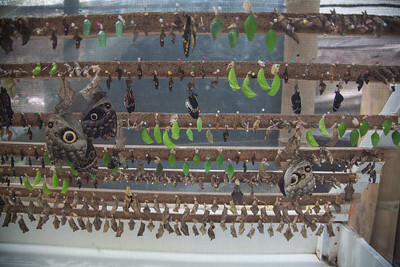 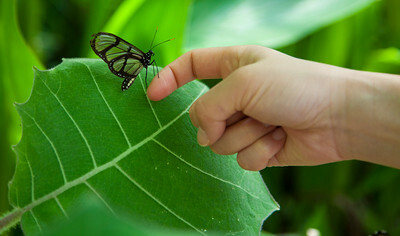 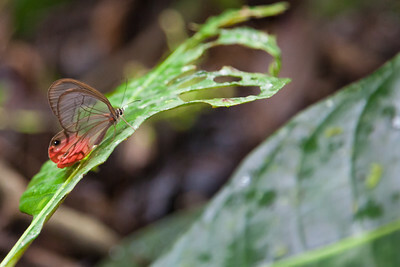 Butterflies transforming from pupae at the butterfly farm/refuge in Mindo. 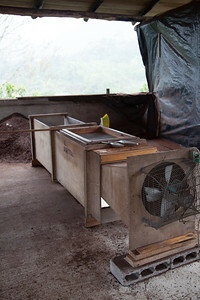 The apparatus used to take the shell/husk off of the cocoa beans - beans are agitated across a wire mesh on top, and the fan blows the husks away while the beans drop to the bottom. 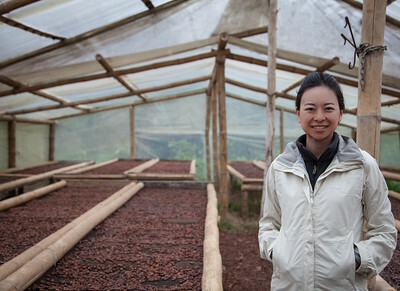 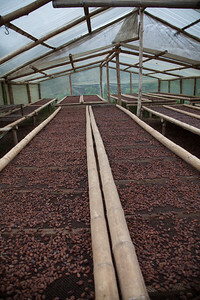 A tour of the chocolate factory in Mindo. 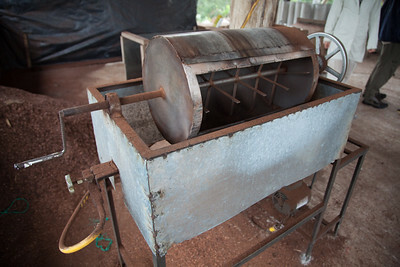 This is the roaster where the cocoa bean is roasted after 6-21 days of fermentation and drying.